The foundation programme begins again in April 2019. Another date for the moovers, groovers and out of the boxers. I’m so so happy to be able to offer another ‘The Artist’s Date’ one day exploration - it comes straight from my heart to yours. OUR THEME FOR APRIL IS - ‘VOICE’ and I will be joined by a very special lady - Uma Knight to offer you many beautiful practices - with an emphasis on expression through voice . There are no requirements for attendance - The Artist’s Date works on the premise that the soul doesn’t have a hidden agenda, it simply needs to express. So just come with an open mind, a playful and inquisitive spirit and the desire to drop into a really special and creative gathering. There will be lots of gorgeous, special touches too! The early bird cost for a full day which includes all practices, a delicious lunch & homemade special teas and other little bits is £90 - pay in full before FEBRUARY 1st 2019. No refunds available (you can sell your spot or I can help you find someone if there is a waitlist). When we think about yoga asana quite often we picture a set of shapes that can be made if we follow certain alignment principles. Theres no doubt that this can be really beneficial for many practitioners. However so often it can have the result of alienating and frustrating the student when they feel that they are not able to arrive at the perfect place. Neurologically speaking this packs quite a powerful punch. The creative teacher (and practitioner) is able to craft a practice that feels inclusive for all levels of ability. An understanding of how joints move - how to get better range of motion, as well as building strength, control and working playfully can often open the practice of yoga up for many people. The missing part of the jigsaw is often neurology, what we’re thinking when we move, how our brain fires and wires new neural pathways and what result that has within the body. When we think beyond asana, beyond the shape as a definitive we are able to place more importance on the awareness. It becomes elevated, joyful and creates change in the brain and the body. This workshop will help you to understand how to move in a way that feels really good. A must for all teachers interested in understanding better how to help their students get more from the practice and for all practitioners wanting to take their practice to a much deeper level. Most of us really have no idea just how powerful we are and what we have access to within ourselves. Deeply entrenched conditioning has turned many of us into docile, caged animals. We have become too comfortable, too passive, we tolerate ill health, settle for less, cope badly with stress and ultimately all of this serves to disconnect us from our own great power. When we deeply connect to our highest self through the complete practice of yoga and beyond, we begin to dissolve old ways of being and tired limitations. Understanding and experiencing this potential and learning simple ways to create change in the nervous system keeps us awake, healthy, anchored to our purpose and deeply in touch with ourselves. This workshop will encourage you to locate the part of you which really resonates with energy and rekindle and reaffirm that connection for extremely powerful self-healing. We will move through a potent combination of creative and out of the box asana, mantra and breath work to unlock the force of the spirit and create change in the nervous system. This will be a dynamic full spectrum, explorative yet inclusive practice for all levels, with an emphasis on asana, breath and mantra to awaken the energetic body and spirit ready for transformation. Expect your notions of your own body and mind to be challenged - let go and feel all kinds of glorious! "I felt so clear and determined when I arrived in London last Saturday. Naomi, your work definitely has effects beyond the body, I felt with the energy and power of a dragon when I arrived to my normal day to day life which is absolutely uncommon in me." "Thanks so much for the last week, it really was incredible. I'm so happy to have found a teacher that is basically packaging up all of the things I'm interested in - an amazing set of practices with heavy weight knowledge and experience to back it all up"
Suleyman's Garden is an incredible venue which offers the best of everything you could possibly want for a yoga retreat - sunsets over dinner, mountain views, clear blue waters to swim in, shady spots to lounge in, plus a beautiful space with a cool breeze to practice in. It is right in the middle of nature, it's quite hard to articulate the powerful effects of this - but trust me, it's special. You will feel it. Attendees can look forward to two sessions of transformative yoga practices a day; a powerful, dynamic and creative morning practice followed later on by a mixture of restorative, breath workshops, yin, and meditative sessions. The retreat includes three vegetarian meals a day - the vast majority of food prepared is actually grown by Suleyman himself who lives and works on the land. It is delicious, varied, plentiful and full of nourishment. In between practices most people head off down the track to a truly beautiful stretch of unspoiled coastline and swim in the sea. We spend the day chilling in the shade, lounging on the rocks and swimming and snorkelling before coming up for our evening practices. This retreat will challenge you, guide you, help you to release some of the things that bind you and get you ready to move forward into the rest of your life – a fitter, healthier and happier YOU! Most people arrive on yoga retreats on their own - which is perfectly normal and totally acceptable! In terms of accommodation we can pair you with someone wonderful or you can stay in your own cabin and have some space to yourself. Very little time is spent in the rooms but regardless - there is so much space around, everyone gets time to themselves whenever they want it! Travel days are Saturdays so look for flights leaving and arriving on Saturday 13th and departing on Saturday 20th July. There are options to arrive earlier and leave later and we can help you with sorting that out if you’d like to spend a few extra days in Gocek nearby. If you cancel your place more than 60 days before the start date of the retreat we will refund you your payment (less the deposit). If you cancel your place less than 30 days before the start date of the retreat we will do our best to transfer your place to a future retreat or any other training if appropriate (less the deposit) . Cancellation without notice will not be issued with any refund. If you choose to pull out of the retreat whilst in progress we will not be able to offer you any refund. Please ensure you have your own insurance in place before travelling to the retreat venue. For more info or to book please just send an email and we'll get back to you asap! Another fabulous one day retreat for the movers and groovers and out of the boxers! This will be a full day pulling together so many of the creative practices I have learnt over many years. There are no requirements for attendance - you do not have to view yourself as an artist by any means but the belief is that we all deserve to explore our lives as art, so just come with an open mind and the desire to drop into a really special and creative gathering of minds. There will be lots of gorgeous, special touches too! The early bird cost for a full day which includes all practices, a delicious lunch & homemade special teas and other little bits is £90 - pay in full before July 1st. No refunds available (you can sell your spot or I can help you find someone). On the brow of Seaford Head, Sussex, sits Florence House; rock solid in the sea air and surrounding wild landscape. In many ways its situation is a metaphor for its life’s purpose – a haven for the spirit however the wind blows. It’s a much loved venue for life enhancing workshops, retreats, weddings and conferences. In essence, it lovingly embraces divine inspiration, the sacredness and potential of each individual and the healing power of the landscape in which it sits. 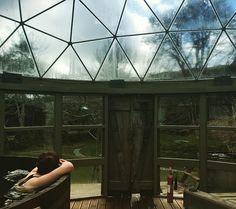 The beautiful interior of the house itself, the abundant gardens, the proximity to the sea and the wildness of the Downs, make Florence House ideal for retreats and workshops involving personal development and transformation. Florence House can accommodate 24 people and there are a choice of rooms from singles to triples based on your needs. All bedrooms have lovely scenic views either of the Downs or the Estate. The venue supplies all bedlinen and towels. As much as possible all the food is grown within the gardens or locally sourced. This includes EVERYTHING – meals, accommodation, all workshops and yoga sessions. You can book on via paypal below or if you prefer to make a private bank transfer please contact Naomi directly. For more information or to book your spot please contact Naomi directly. What if you viewed your teaching as a practice for creative recovery? This workshop will introduce you to the art of holding space powerfully - both for yourself and for your students. We will look at key ways to establish a bubbling creative well from which to draw constant inspiration and energy, techniques to keep you connected to Spirit and in flow (and what that actually means!). You will gain a greater understanding of who you really are as a teacher and what you uniquely bring to your teaching practice plus clarity around where you are blocked and what to do about it for instant results. Learning how to sensitively balance and integrate your own necessary development, self-enquiry and reflection with the essential techniques for holding space for others in a powerful, yet non -intrusive way builds resilient, robust and embodied teachers in the face of growing pressure and steady competition. However, reframing your teaching as a creative process will blow the doors off what is possible! All this plus an honest discourse around the realities of making a living from teaching and the psychology of teaching. We will end with a Q&A session. I’m so so happy to be able to offer this one day retreat coming straight from my heart to yours. A full day pulling together so many of the creative practices I have learnt over many years. There are no requirements for attendance - just an open mind and the desire to drop into a really special and creative gathering of minds. There will be lots of gorgeous, special touches too! The early bird cost for a full day which includes all practices, a delicious lunch & homemade special teas and other little bits is £90 - pay in full before December 1st. EXHALE FESTIVAL 2018 TAKES PLACE ON AUGUST BANK HOLIDAY WEEKEND! Five years strong, we'll be coming back with more of that magic that you love! Everyday at Exhale you can dive deep into yoga, meditation, calisthenics, functional movement, intelligent fitness and wild running. You can discover diverse and inspired practises, such as Biodynamics, Breathwork, Animal Movement, TRX or Quantum meditation! There will be plenty of time to take in some of the various talks orworkshops with our seasoned coaches, or treat yourself to a luxurious massage, healing or gong bath. You can expect tasty and diverse food offerings, more activities for kids and families, more talks, more music and some surprise special guests! Liberate & Elevate - Colombia Retreat! INCLUDES: 3 meals, lodging in shared cabins, 3 daily practices (silence, breathwork, yoga flows, mindful movement and restoratives). OPTIONAL ACTIVITIES: mountain trekking, waterfall hikes, visits to indigineous villages and plenty of rest in hammocks in the sacred land of the tayrona park. Ideally flying from London to Bogota in Avianca´s direct flight and then take the next flight from Bogota to Santa Marta. It is quite a long journey so we will pick you up in the airport and take you to the retreat facilities to rest the first day and get you ready for our welcoming restorative evening on the Wednesday 15th August. We will flow and get inspired until the 21st Tuesday at midday, leaving after morning practice and brunch. Our fourth Liberate & Elevate retreat – a weekend full of personal practice, practical workshops, mentoring and above all sustenance. Join Naomi for a transformative yoga retreat in the magnificent splendour of the Scottish Highlands. With underfloor heated waterfall view yoga studio, private riverside hot running spring water baths and a vegetarian chef to knock your socks off. “4 nights of delicious nutritious vegetarian/ vegan food, yoga with a top class teacher and hobbit like surroundings in the Scottish hills. 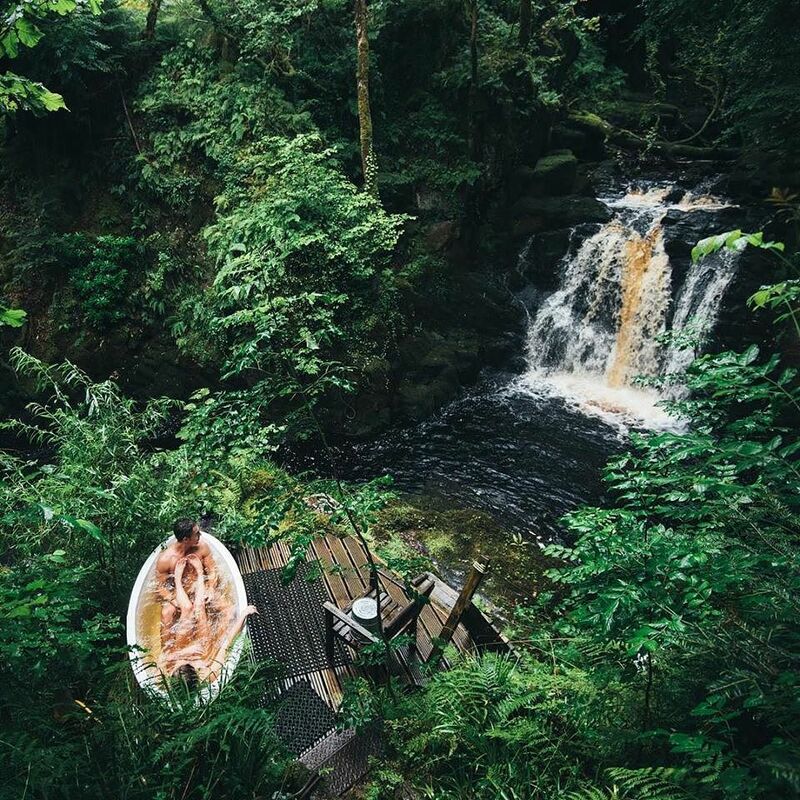 Outdoor bathing in the mist and rain with boiling hot water powered by off grid hydro electric!" In the fabulous yoga studio that overlooks the waterfall, you will be guided through two wonderful daily classes; a mix of creative vinyasa flow yoga, pranayama, detailed workshop instruction, partner work, guided meditation and restorative work. Naomi's classes are a potent celebration of the flow of life - a creative, strong yet graceful dance, where laughter, joy, love humility and gratitude are all key elements. The 60 sqm studio has underfloor heating and a wonderful energy. During Śavāsana your body can melt into the warmth of the floor whilst the mind is gently soothed by the sounds of the nearby waterfalls. Complete beginners through to advanced yogis and even non-yoga partners will love this retreat. Most of us really have no idea just how powerful we are and what we have access to. When we deeply connect to our highest self through the complete practice of yoga we begin to dissolve old ways of being and tired limitations. Understanding and experiencing the potential of the mind, the body and their effect on the nervous system keeps us aligned, anchored to our purpose and deeply in touch with ourselves.This workshop will encourage you to locate the part of you which resonates with the universe and rekindle and reaffirm that connection for powerful healing. We will move through a potent combination of creative and out of the box asana, mantra and breath work to unlock the force of the spirit. This will be a dynamic full spectrum, explorative yet inclusive practice for all levels, with an emphasis on asana, pranayama and mantra to awaken the energetic body and spirit ready for transformation. Expect to be challenged yet feel all kinds of glorious! Our third Liberate & Elevate retreat – a weekend full of personal practice, practical workshops, mentoring and above all sustenance.